Fresh & Clean Hand Care Soap produces a smooth, softand creamy lather that cleans hands well and keeps them moist and supple. It is a powerful cleaner, yet soft on the hands. It also has skin conditioning properties, and antibacterial agents. Hand Care Soap is the ideal “general” hand care product where a fragranced, coloured product requires the added benefit of an antibacterial agent. Apply a small quantity onto hands directly from the dispenser. Rub hands together for a smooth lather and rinse off. Repeat if required. Research shows the best anti-bacterial action results from hands being lathered and rinsed for at least 20 seconds. 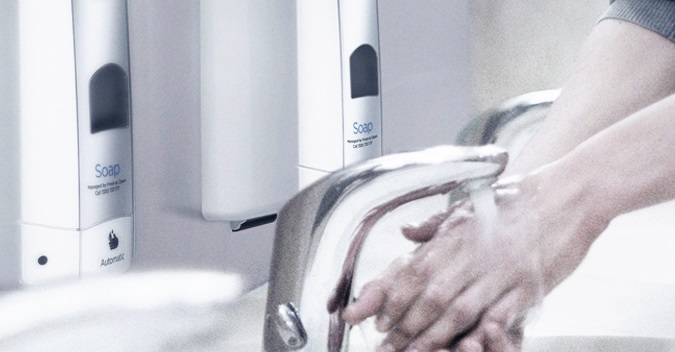 Wet hands should be properly dried to prevent cross-contamination.